preparation. 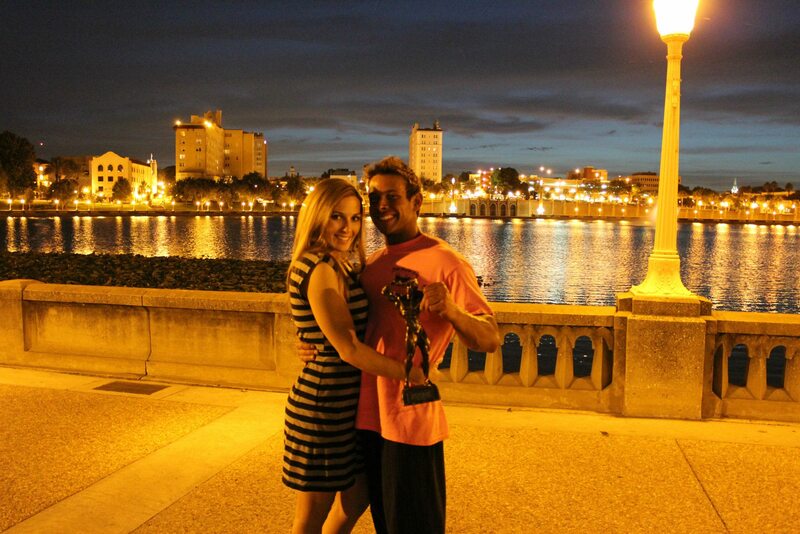 My boyfriend got me into competing after watching his bodybuilding shows last year. Seeing all his hard work and dedication made me want to change my lifestyle. In January, I signed up with a contest prep coach/trainer and began my 8 month long journey of dieting and working out. I had 14 weeks to diet, lift weights, and hit daily cardio until I did my first show. When those 14 weeks were up, I was thoroughly surprised at how much my body could change with regimented diet and exercise. After seeing how far I came, I only wanted to better myself. I took another 3 months to tone and gain muscle before doing my next two competitions. I’m proud to say that I placed 3rd in novice bikini and went up in ranking in open bikini for both shows. My own personal goal of getting into shape and becoming more aware of my eating habits was certainly achieved. Mentally, physically, and emotionally I’ve become a stronger person because of this. The hours in the gym, maintaining a strict diet and saying no to any food cravings was definitely hard at first, but has now become my lifestyle. When in off-season, staying on a clean diet is important and the “cheat” meals I get 3 times a week are ones I certainly look forward to! This whole experience has given me a new outlook on food and how I eat. I now love to cook, appreciate the things I eat much more than before, and am always creating ways to make meals healthier for you. Tomorrow’s show will be the most special to me because my boyfriend and I will be competing together. One year ago, I was watching him through his journey, and now we will be by each other’s side; hopefully both with trophies in hand! I was able to change my lifestyle and for those of you that have been wanting to I want you to know that it is possible. Diet is 80% of your work, while gym is 20%. My advice is to start off slow by changing some of the foods you eat on a daily basis. Also, eliminate soda, along with other sugary drinks. If you have a gym membership, adding in cardio daily and lifting weights will help your progress as well. For those of you who do not, there are exercises that may be done at home and try a nice walk around the neighborhood in the morning or at night. Stay tuned for upcoming blogs that will help you achieve your fitness goals!